New infrastructure in Mumbai includes Metro, Monorail, Eastern Freeway, Roads (Sahar, SCLR), Flyovers (MIlan, Amar Mahal), Trans Harbor Link, etc. Many of these projects will complete in 2013-2014 and will drastically improve Mumbai city. Ghatkopar to Chembur (Panjarpol at Shivaji Chowk). Distance = 2.5 Km. Panjarpol to Anik (near Wadala and Antop Hill). Distance = 5.0 Km. Anik (Wadala, Antop Hill) to South Mumbai (P D’Mello Road, Wadi Bunder, CST, Museum). Distance = 9.3 Km. Mumbai’s Eastern Freeway is the first major land road in decades. It will drastically reduce travel time from North East suburbs to South Mumbai. There are NO TRAFFIC SIGNALS on the Eastern Freeway and it will BYPASS 28 SIGNALS. Eastern Freeway is FREE, with NO TOLL. The 9.3 Km PD Mello to Anik Freeway Flyover is the SECOND LONGEST FLYOVER IN INDIA. April, 2013: the Eastern Freeway will open from P D’Mello to Anik and from Anik to Panjar pal (only 4 lanes). August, 2013: Eastern Freeway will be opened, from Panjrpol (Chembur) to Ghatkopar Mankhurd Link Road and the balance 4 lanes from Anik to Panjarpol. The Freeway at P D Mello Road starts/ends at Princess Dock’s Orange Gate, which is at the intersection of Sardar Vallabhbhai Patel Road and Wadi Bunder. The Eastern Freeway ends/starts at Indian Oil Nagar on the Ghatkopar Mankhurd Link Road close to the Eastern Express Highway. Most of the freeway is on elevated bridges with one section from Anik to Panjorpol Link Road (APLR) along the ground passing through 2 new tunnels in the BARC hills. Visit this link for Map and Route of the Eastern Freeway. The 11.4 Km Versowa to Andheri to Saki Naka to Ghatkopar Metro will start in December, 2013. The Versova-Andheri-Ghatkopar Metro (VAG) is the first line in the new Mumbai Metro Rail Network or Mass Rapid Transit System (MRTS). As part of MRTS, Mumbai will have 8 Metro Lines spread over 146 Kms by 2021. The 12 Metro stations on the new Versova – Andheri – Ghatkopar Metro Rail are Versova, D.N. Nagar, Azad Nagar, Andheri, Western Express Highway, Chakala, Airport Road, Marol Naka, Saki Naka, Subhash Nagar, Asalpha, Ghatkopar. Travel time from Versova to Ghatkopar will be only 21 minutes. Initially, Metro train will have 4 AC coaches. All Metro One stations have been designed to accommodate 6 coaches. Peak frequency of Metro One train will be 3 minutes, reducing to an average of 3.5 minutes during non-peak. 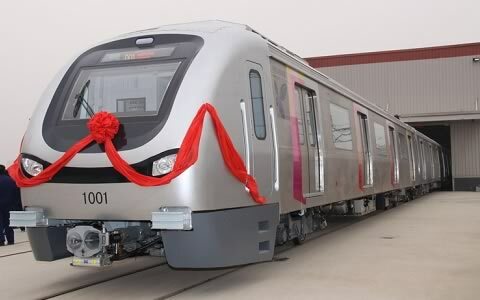 The first Metro line is built and operated by Mumbai Metro One Pvt Ltd (MMOPL), which is a consortium of Reliance Infrastructure (69% share), Mumbai Metropolitan Region Development Authority (MMRDA) (26% share) and Veolia Transport RATP Asia (France) (5% share). For the first 5 years, Veolia Transport RATP Asia will be responsible for operations and maintenance of the Versova – Andheri – Ghatkopar (VAG) Metro Corridor. The first phase of Mumbai Mono rail from Chembur to Wadala (7 stations) will start operations from May 2013. 7 Monorail stations on the 8.26 Km stretch are Chembur (on Ramakrishna Chemburkar [RC] Marg near Municipal Pool and Fine Arts Society), V N Purav ( where it meets R C Marg at Chembur Naka), Fertilizer Township (near RCF, Chembur Vasahat and RJK College on RC Marg), Bharat Petroleum (near Sai Baba Hospital, BP and RCF on RC Marg), Mysore Colony (between BP and RCF), Bhakti Park and Wadala Monorail Depot. Initially 6 rakes will run at a frequency of 9 minutes. Timing of Mumbai Monorail is from 5:00 am to 12:00 midnight. Ticket cost for Mumbai Monorail is between Rs 11 and Rs 30. 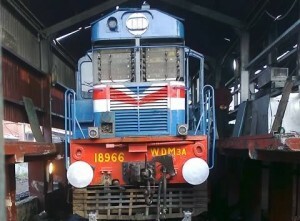 Journey time from Chembur to Wadala is 19 minutes. Each train has 4 interconnected coaches/rakes. Each coach can seat 18 and 124 can stand. Trains are in 3 colors – Pink, Green and Sky Blue. Mumbai Monorail has a top speed of 80 Km per hour, but will run between 30 to 40 Km per hour. The second phase of 11.28 Km Mumbai Monorail is from Wadala Depot to Jacob Circle via Dadar, Lower Parel, Chinchpokli. The 12 stations (including Wadala), will be completed by March 2014. It will take 25 minutes from Wadala to Jacob Circle. The 19.54 Mumbai Monorail is the WORLD’S THIRD LONGEST MONORAIL, after Chongqing Monorail (China) and Osaka Monorail (Japan). The Rs 2,990 crore Mumbai Mono Rail is owned by MMRDA and is built by Larsen & Toubro (L&T) and Scomi Engineering of Malaysia. L&T and Scomi can operate the Monorail until 2029. Government of Maharashtra plans to construct 9 Monorail routes in and around Mumbai. 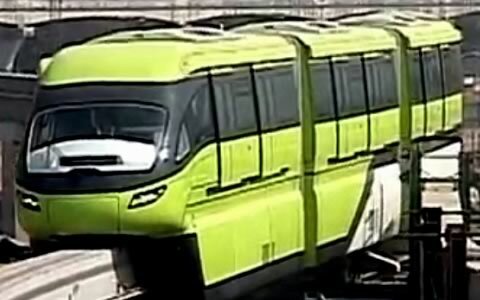 The original deadline to complete Mumbai’s and India’s first Monorail was April, 2011, but the project was delayed due to land acquisition reasons. Construction started in January, 2009. The reason Monorail was selected for Mumbai over Metro or conventional rail network is because it requires less space to run trains (narrow Guideway Beam), it is cheaper to construct than a Metro, it is quicker to construct and it makes less noise. Hence for a crowded city like Mumbai, the Monorail makes sense. The 2.15 Km Sahar Elevated Access Road (SEAR) connects the busy Western Express Highway to Terminal 2 (T2) of Mumbai’s Sahar International Airport (Chhatrapati Shivaji International Airport). The first phase of the SEAR project will be opened in April, 2013 and the second phase will be completed in September, 2013. Sahar Elevated Access Road has six lanes and consists of a flyover (1050 metres), a tunnel (98 metres), 3 underpasses (total of 100 metres), ramps (261 metres), ground level road (641 metres) and a pedestrian underpass (48 meters). In addition there are 4 ramps at the Sahar Airport which are the Entry/Exit points for the Sahar Elevated Access Road. There are 2 Entry/Exit points to SEAR from the Mumbai Western Express Highway. From South Mumbai the entry point is 0.5 Km from the road that leads to the domestic Santa Cruz airport. From North Mumbai, the entry/exit point to SEAR is just 0.3 Km from the Current junction of Western Express Highway and Sahar Road. 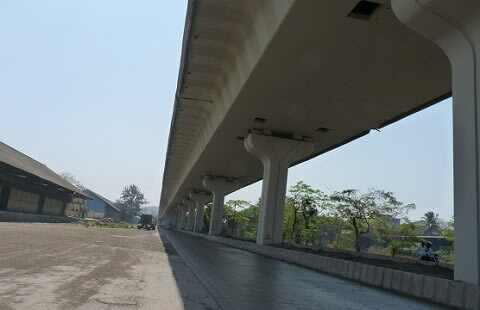 The Sahar Elevated Access Road (SEAR) is developed by MMRDA as part of the “Mumbai Urban Infrastructure Project” (MUIP). The Rs 287 Crores SEAR project is funded under the Jawaharlal Nehru National Urban Renewal Mission (JNNURM). L&T is the contractor. Work on the new Sahar Road started in January 2008. The original deadline was May, 2011, but the project’s revised deadline is September, 2013. The SEAR project was delayed because of the restrictions imposed by the Airport authorities, consideration for the heavy traffic on Western Highway and because of the relocation of families at Rajaramwadi, Bamanwada, Ambedkar Nagar, Sambhaji Nagar. Road connectivity between East Mumbai to West Mumbai has always been a problem. The 6.45 Km Santacruz – Chembur Link Road (SCLR), which connects Eastern and Western Express Highways, will go a long way in solving this problem. The Start/End of the 6 lane SCLR on the Western Express Highway (WEH) is Dr Hans Bhugra junction near BKC and Kalina. From here the SCLR continues East along CST Road where it crosses the Mithi River at Kapadia Nagar. From here a new bridge crosses LBS Road, Netaji Nagar, Kurla Depot, Buddha Nagar, Lokmanya Tilak Terminus (LTT), Tilak Nagar and finally reaches Amar Mahal Junction (near Chembur) on the Eastern Express Highway (EEH). The SCLR started in 2003 and as yet it is not clear when it will be completed. Likely completion date is March, 2014. The SCLR project is an example of the difficulties that government agencies face in building infrastructure in Mumbai. It also shows the poor execution capabilities of government agencies such as MMRDA (financier of SCLR along with World Bank) and MSRDC (executer of the SCLR – Maharashtra State Road Development Corporation Ltd). New 700 meter road bridge over Milan Subway between Santacruz and Vile Parle Stations. Starting on PV Avasare Marg in Santacruz West (50 meters from SV Road near Rizvi Park), the new Milan rail over bridge will cross the Western Railway tracks where the current Milan Subway is located. The Milan Subway bridge will end on the Western Express Highway service road between Santacruz East and Vile Parle East. 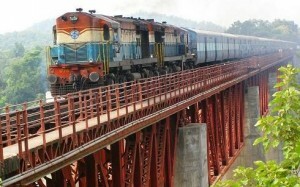 The section over the railway tracks is a 160 meter long steel girder bridge, which is at a height of 15 meters. This is the longest single span steel girder bridge over railway tracks in Mumbai. There is no columns or support along the 160 meters. It covers 7 rail tracks and 2 proposed tracks. Work on the 2 lane Milan Subway Rail Over Bridge started in January, 2008 and it was expected to end in 18 months. The Milan rail bridge will finally open in May 2013. The bridge has been delayed because of changes in design and the rehabilitation of affected residents and businesses. The cost of the bridge has shot up from Rs 41.50 crore to Rs 83.74 crore. MMRDA is the overall owner of this project and J Kumar Infrastructure is the contractor.